On Saturday, November 14, 1987 between 0400 and 0500 hours, retired Seattle police officer Robert Whalen was driving on SR-525 towards the Clinton ferry terminal when he was passed by an erratically driven and speeding blue Ford Pinto. The Pinto was driven by 26 year-old Darrin Rand Hutchinson. When the Pinto approached the terminal, Whalen watched as it nearly struck the ferry toll booth. Island County Deputy Bill Heffernan and Deputy John Saxerud arrived at the dock and arrested Hutchinson for driving under the influence. Deputy Saxerud patted Hutchinson down and placed him in the back seat of the patrol car, but he missed a thin, .32-caliber Bersa semiautomatic pistol concealed along Hutchinson’s waist. The deputies transported Hutchinson to the Island County Jail in Coupeville. During the half hour drive to Coupeville, Hutchinson even mused over the deputy’s failure to detect the weapon. Once at the jail, the deputies moved Hutchinson to the BAC room for the test. They secured their service weapons in a lock box prior to entering.  Shortly after 0615 hours, a dispatcher who had video and audio monitoring of the BAC room witnessed Hutchinson pull the gun and shoot Deputy Saxerud in the head at close range, killing him instantly. Hutchinson then shot Deputy Heffernan twice, killing him. He began rooting through Deputy Saxerud’s pockets and located car keys. Hutchinson stole a patrol car, crashed through a garage door to escape and raced to his brother’s house. He later ditched the car down a steep ravine. He was arrested later in the day at his parents’ house. Hutchinson was convicted of murdering the deputies and sentenced to two life terms. The Washington State Court of Appeals reversed his conviction in 1997 saying the superior court judge gave incorrect instructions to the jury. However, that decision was appealed to the Washington State Supreme Court who upheld the convictions saying the judge’s instructions were correct. Deputy Heffernan had previously served with the United States Navy. He is survived by his two children.